Greatest Mountain House Sale Ever: 35%-off meats and more! Shop here and get your larder topped off for the dark days ahead. 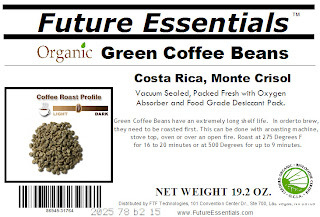 Mountain House food, the best quality storage food in the world, with 30-year shelf life, is shipping promptly right now, so there's no better time. Coming Mountain House Sale to Offer Biggest-Ever Discount on Meats! "The Food Abides" Sale. Most of these offers are discounts on foods and bundles that are never available at discounts beyond our regular club-member discounts. Take advantage while you can--these are the last 2 days. 2. February 1-15 is our Maximum Mountain House Sale in which every Mountain House freeze dried #10-can listing will be discounted the maximum-allowed 25%! But then beyond that, MH is allowing an extra discount of another 10% off select varieties that will provide you with the best deals in years on Diced Chicken, Diced Beef, Ground Beef, Cottage Cheese, Raw Egg Mix-Uncooked, and Scrambled Eggs w/ Ham & Peppers. That's 35% off those items ... and 25%-off everything else!! And of course, there's more to like ... that is, everything always ships free to the continental U.S. ... and our buyers club members reap extra Mountain House Buyer Rewards that their MH can-case purchases may qualify for. No matter how you look at it, now's the time friends. The America we all grew up in is no more. So much has already happened in the swift transition to the place where people are merely tools for the good of the state. One day soon, the final big steps will be enacted and chaos will ensue. Are you truly ready for that? At Safecastle, this is why we have been here for you for the last 11 years, helping you to prepare for when you and those you trust are on your own. Just remember ... it's not just about physical preps ... get yourself squared away mentally and spiritually as well. A big change is coming. 1. 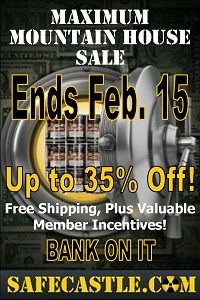 January 31 is the last day of our current food deals in Safecastle's "The Food Abides" Sale. Most of these offers are discounts on foods and bundles that are never available at discounts beyond our regular club-member discounts. Take advantage while you can. 2. February 1-15 is our Maximum Mountain House Sale in which every Mountain House freeze dried #10-can listing will be discounted the maximum-allowed 25%! But then beyond that, MH is allowing an extra discount of another 10% off select varieties that will provide you with the best deals in years on Diced Chicken, Diced Beef, Ground Beef, Cottage Cheese, Raw Egg Mix-Uncooked, and Scrambled Eggs w/ Ham & Peppers. That's 35% off those items and 25%-off everything else!! 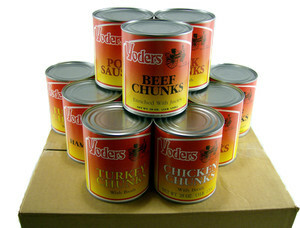 Yoders Canned Meats in Stock - Shipping Out at Discounts for Limited Time! 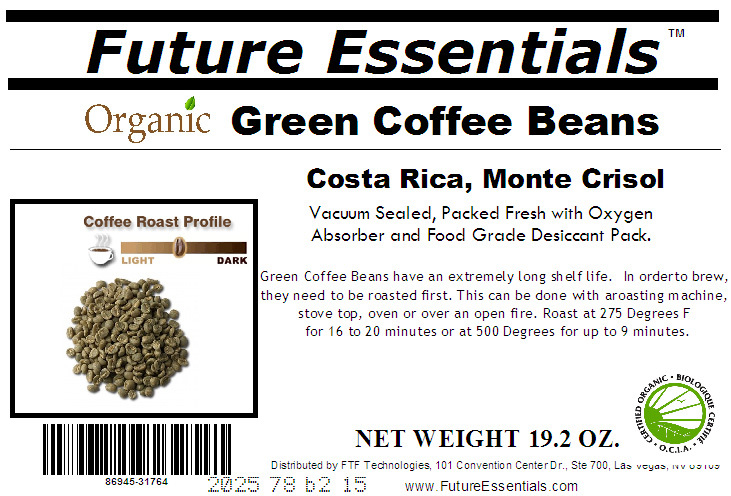 We're well into our current "The Food Abides" sale at Safecastle. Cases of bacon, cheese, butter and ghee: http://www.safecastle.com/-bacon-cheese-butter-and-ghee.aspx Club member savings of 32% ... discount of $206 ... free shipping of course. 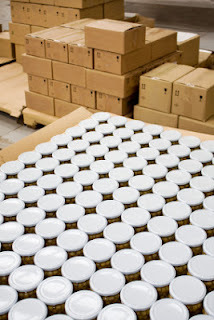 A Dairy Variety Case, one #10 can each of Cheddar Cheese Powder, Cream Cheese Powder, Sour Cream Powder, Whole Egg, Butter Powder, Country Cream Milk ... http://www.safecastle.com/special-dairy-variety.aspx Members get 31% off list! Most folks are fixated on the guns and ammo shortage right now, but the smart ones are also sweeping up the best of the long-term storage food as well. Better get ya' some while ya' can (before selection gets dicey and prices start rising). "The Food Abides" Sale is On! 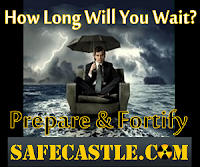 It's on at Safecastle and it's better than ever. "The Food Abides" Sale is again running at Safecastle and there is no better time to get fully squared away for what is on the horizon. We've put together some brand-new variety cases and storage-food bundles that include old favorites and new offerings that will make mealtimes go down easy. Real meats, veggies, fruits, and dairy, canned to last for decades ... the best tasting selections in the storage-food marketplace ... on sale right now for a short time. See the survey results report. Prepping with Safecastle is pretty much a no-brainer.